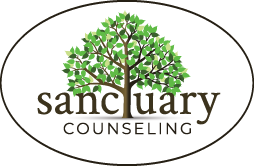 Month: December 2017 | Sanctuary Counseling, LLC. Let’s face it – as much as we love our families and look forward to seeing them over the holidays, it can be stressful to balance different households with different views, beliefs, and expectations. I’ve compiled a list of ways to navigate holidays with families whether you’re traveling to multiple households or spending long periods of time at one. 2. Identify your support system ahead of time. Whether it be a partner, parent, friend – having someone that you can turn to if you become overwhelmed is essential. This could even be as simple as knowing which friend you will send a text message to if you need to vent. 3. Don’t overdo it & keep appropriate boundaries. If you are going to your mother-in-laws home and know that after about the four-hour mark, conversations tend to turn to uncomfortable topics – politics, religion – maybe it makes sense to set the boundary that you will stay for that amount of time, but no longer. We all have a threshold for managing uncomfortable conversations with family members and it’s important to not avoid them at all costs, but it also doesn’t mean you need to subject yourself to them every time. 4. Maintaining self-care that you know works for you. Not all self-care activities will always be do-able at any given time. We don’t always have access to a gym or a bubble bath. Having a handful of self-care activities that can be easily done or don’t take much time can be essential for getting through the holidays when you don’t have the option to set a boundary for how long you will be somewhere. Some ideas include meditation (Headspace is a great app for this! ), taking a walk outside, reading, listening to music, and the list goes on. Just make sure what you choose is accessible. 5. Try not to get caught up in the consumerism. When the focus turns to “I didn’t get Sally a gift” or “why has Ted not told me what size shoe my niece wears? ?” things can get stressful REAL quick. When gifts are an expectation that your family holds, try getting your shopping done early or suggest drawing names to reduce the amount of shopping needed. 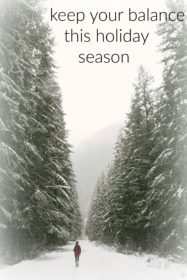 This allows you to take in the true magic of the season and to enjoy the time you do get to spend with family. 6. Set a goal. This year I want to take more time to enjoy conversation. This year I want to make it a point to sit down with my mother and have an uninterrupted talk. This year I want to bake a pie from scratch with my sister. This year I want to start a new tradition/ritual with my family. Setting a goal for the holidays can keep you focused on something fun or important to you. It can also create excitement when you think about accomplishing that goal. Remember to remain open to the fact that sometimes things do not work out exactly as you would like and that’s ok. Setting the intention can be just as powerful as actually completing it exactly as imagined. 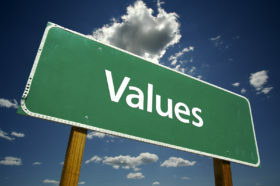 Even holidays with the closest and most considerate of families can feel overwhelming at times. It’s important to listen to your mind and body in the process and try to give it what it needs. You’ll enjoy time with family much more if you feel centered and ready to converse. Which of these ideas will you try to incorporate this year during the holidays?